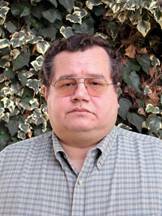 Rodomiro Ortiz (Lima, 1958) holds BSc-Biology (Honors) and MSc-Plant Breeding & Statistics from the UNALM (National Agricultural University, La Molina, Perú), and, a PhD-Plant Breeding & Genetics from the University of Wisconsin-Madison (USA). He worked as researcher at UNALM, Centro Internacional de la Papa (CIP, Lima, Perú), Rutgers University (Chatsworth, New Jersey, USA) and International Institute of Tropical Agriculture (IITA, Ibadan, Nigeria), held a Nordic professorship in plant genetic resources at the Royal Veterinary and Agricultural University (KVL –now the Faculty of Life Sciences at the University of Copenhagen, Denmark), and was Director of the Genetic Resources and Enhancement Program at the International Crops Research Institute for the Semi-arid Tropics (ICRISAT, Patancheru, Andhra Pradesh, India), Deputy-Director General, Director of Research for Development, Director of the Crop Improvement Division, and Officer in Charge of the High Rainfall Station (Onne, Nigeria) and the Eastern and Southern Africa Regional Centre (Kampala, Uganda) of IITA, and Director of the Intensive Agro-ecosystems Program of Centro Internacional de Mejoramiento de Maíz y Trigo (CIMMYT, El Batan, México). He is currently the Director of Resource Mobilization at CIMMYT. He has also provided consulting services to the Food and Agriculture Organization of the United Nations (FAO) and the International Atomic Energy Agency (IAEA), and at the beginning of this millennium, assisted the World Bank in developing a strategic note on “Science and Technology in Agriculture: Biotechnology and the Gene Revolution”, and has served more recently as external referee for reports in desertification and climate change. Throughout his professional career, he has authored over 650 scientific publications of which about 60% are international refereed articles (with 7.42 as average citation according to SCOPUS) or edited book chapters. He has given 141 invited lectures, seminars and international conference keynotes.